Let the Mauritian way of life wash over you as you soak up the sight of white sand beaches fringing glistening turquoise ocean, framed by coconut palms, and spectacular scenery beyond; one of the 'must dos' if your travelling to Zilwa Attitude Resort right on Mauritius' north coast. It's an exceptional site right by the Grand Gaube fishing village full of custom and tradition aiding in memories to take back home. 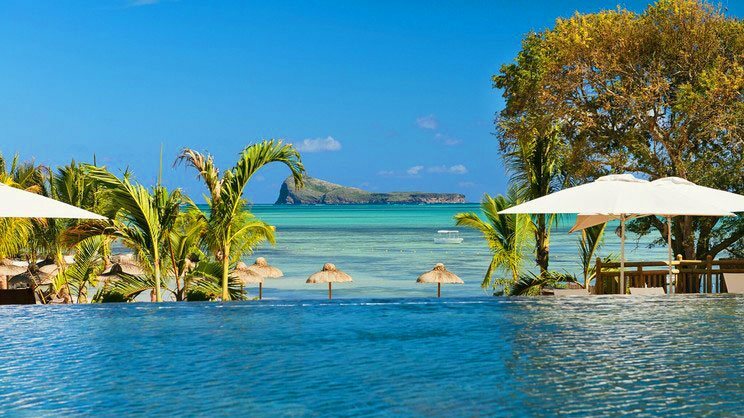 Combining the modern holiday concept and fabulous luxuries with Mauritian heritage and its paradise location is no mean feat but here at Destination 2, we feel they've got it spot on! Relax in resort with Spa Attitude beauty services, take a catamaran trip at sunrise or, let the kids go wild on a treasure hunt around Crusoe island whilst you succumb to the powers of an open-air massage, there's endless opportunity here at Zilwa Attitude Resort to do as much or as little as you please. Take a peek at some of the accommodation choices and other services on offer, we're sure there's something to suit you. The Zilwa Attitude is located in the Calodyne area and is within walking distance of a small number of shops, restaurants and bars. Sir Seewoosagur Ramgoolam International Airport is approximately 72km away from the resort. A generous 35 square metres gives way to modern design with touches of traditional materials used to reflect the Mauritian tradition and seaside location. Natural woods, splashes of vibrant colour and a clutter-free design gives just the right balance for convenience and relaxation. 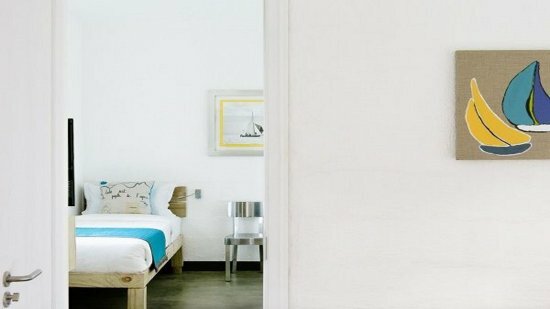 Some superior rooms also offer fabulous sea views. 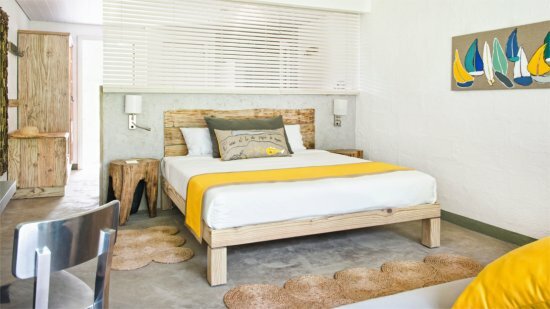 All rooms feature a thatch-roof bungalow layout with one- or two-storeys housing the multiple accommodation categories. 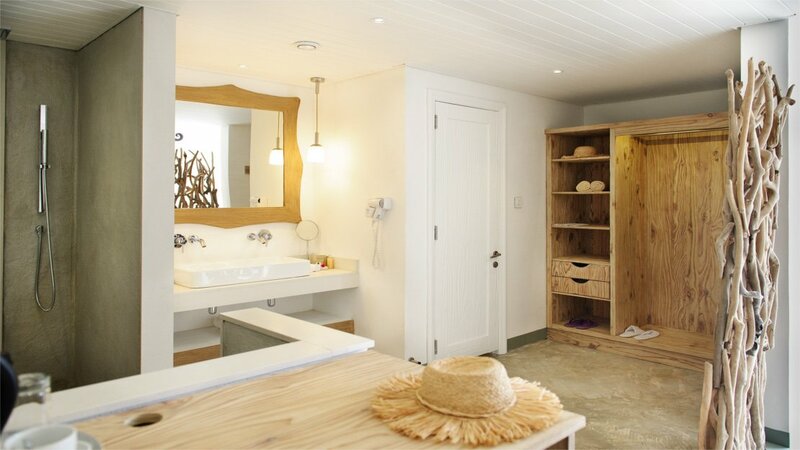 Blissfully tranquil and luxurious these rooms offer a special treat for any couple. Enjoy your well-earned break in one of these first-floor choices with 40 square metres to kick back in. Accents of orange or red blend with neutral tones giving a refreshing feel to the room. There are sea view rooms and beachfront rooms to choose from. Perfectly situated on the ground floor to easily accommodate a large terrace and cater for 2 adults and 2 teens (or 4 adults), family rooms are an expansive 45 square metres. For an extra touch of luxury and more than enough space, opt for the family apartments, measuring in at an impressive 80 square metres. Family-friendly resort with a fantastic kids' club, featuring Ayo the Dodo, a character who is definitely the star of the show! This gentle pirate will transform your child's days into one of absolute fun and adventure both indoors and out with a range of activities, games and excursions throughout the resort and in the custom-designed mini-club. Children aged 3-12 years. Spa Attitude offers a range of therapies to be enjoyed in the spa sanctuary or outdoors in one of the quiet treatment areas. Let your body restore its natural energy and wellbeing with the help of oils, fragrance and therapeutic massage. Land activities include table tennis and petanque, board games and typical Mauritian games. *The Dine Around experience allows guests to enjoy dinner at 4 of the hotel’s restaurants (Karay, Siaw, Tadka and Kot Nou) Reservations can be made at reception. With a choice of 5 fabulous dining venues and a number of bars, guests can revel in a world of cuisine without ever leaving the resort. Truly delicious combinations await and with the expertise of resident chefs, guests can savour the tantalising mix of Creole, European, Asian and Indian. Here is where guests can experience island hopping in the style of Robinson Crusoe. Have lunch barefoot on the sand savouring delicious barbecue cuisine, sip your drinks by the sea and as a family, simply enjoy this wonderful island excursion. Feast on a range of Asian specialities at the Zilwa Attitude’s fabulous Tadka Restaurant. Enjoy a taste of mouth-watering Mauritian cuisine at the exquisite Kot Nou restaurant. Stunning lagoon views create the backdrop here, with favoured Creole cuisine being the star of the menu. Bamboos lit up at night-time softening the ambience and exuding romance, Chinese specialties and the scent of wok cuisine; here is where cooking demos are performed in the afternoon and relishing Sino-Mauritian delights is saved for the evening. The church of Cap Malhereux and the expansive beach is the scene to this special dining venue. Right on the beach, guests can dip their toes in the sand whilst partaking of traditional Mauritian cuisine for a light lunch or fine dinner. This is a rustic venue perfect for experiencing things the Mauritian beach way. Pancakes, pastries, sandwiches, Panini, faratas and dholl puris, there's an extensive menu of light bites from all around the world.